Having lived in Berkeley for so long I’m very comfortable in university towns. 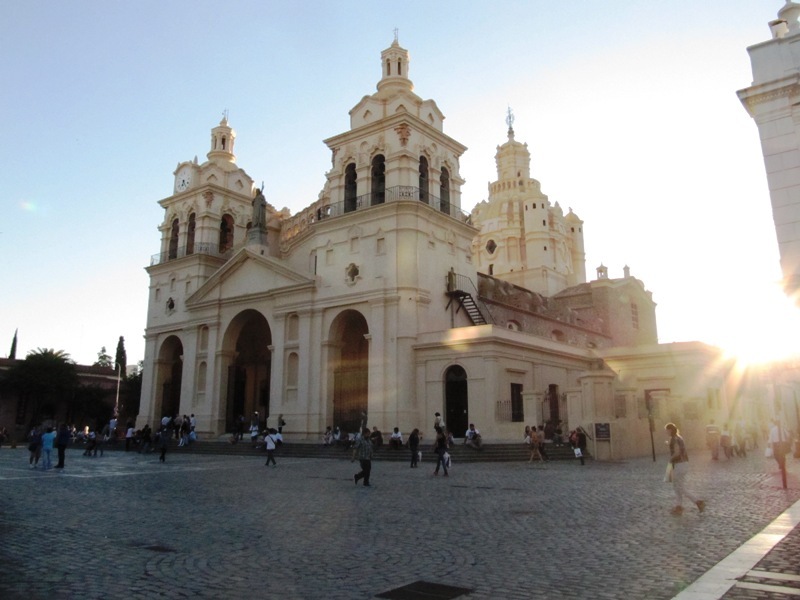 Therefore, I was looking forward to visiting Córdoba. 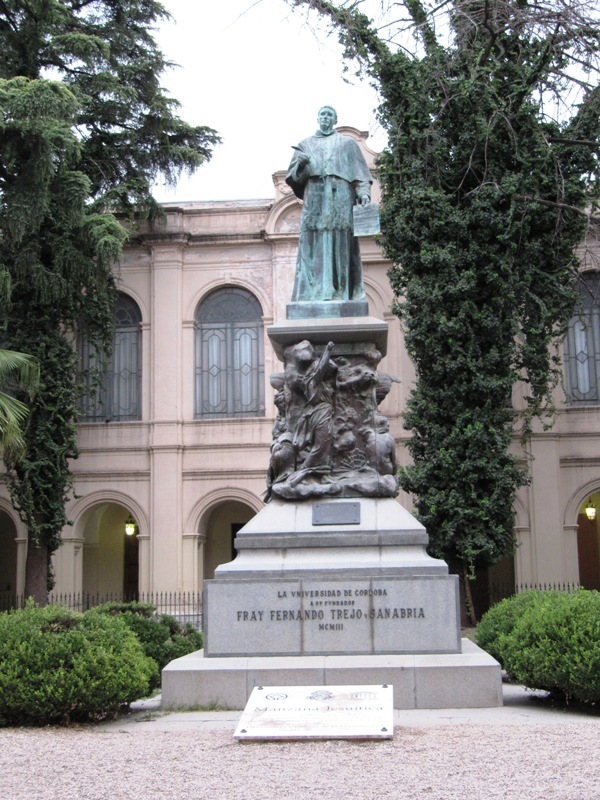 The city has been a center of learning in Argentina for centuries. 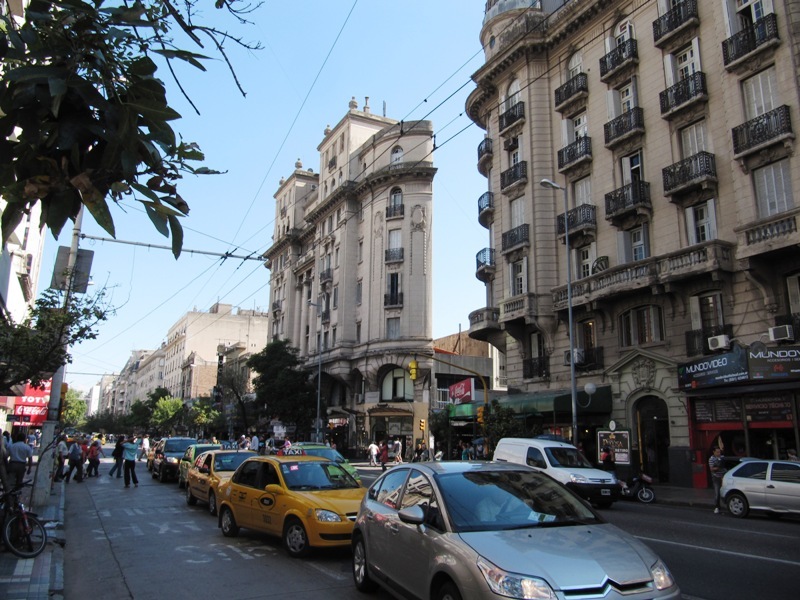 It is also Argentina’s second largest city, although it only has 10% of the population of Buenos Aires. 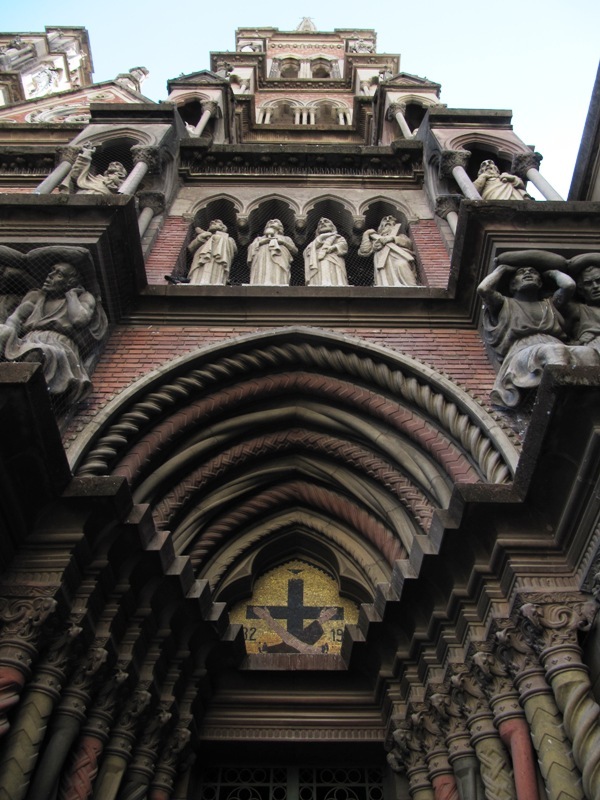 What we found was a very European feeling city with quaint plazas and grand churches, connected by cobbled streets in the center. One of our favorite buildings was the university. Amazingly, university education is free for anyone in Argentina, including foreigners! 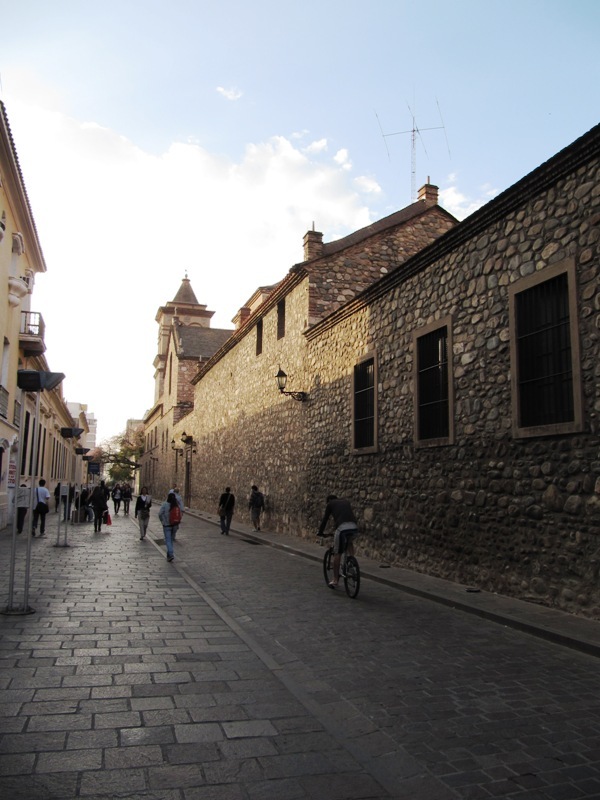 We went on a tour which included a visit to the original Jesuit church that founded the town, built in the 1600s. The guide was very passionate, particularly regarding the African slaves that were integral to building the town. The Argentines are known for believing that they come from almost exclusively European descent. But our guide informed us that slaves made up over half the Córdoba population even into the early 1800s. Then they stopped being counted. It was interesting to hear from someone trying to fight the “European Myth” that many Argentines still resolutely believe. We furthered our education, but in a very different way, at the Museo de Historia Natural. 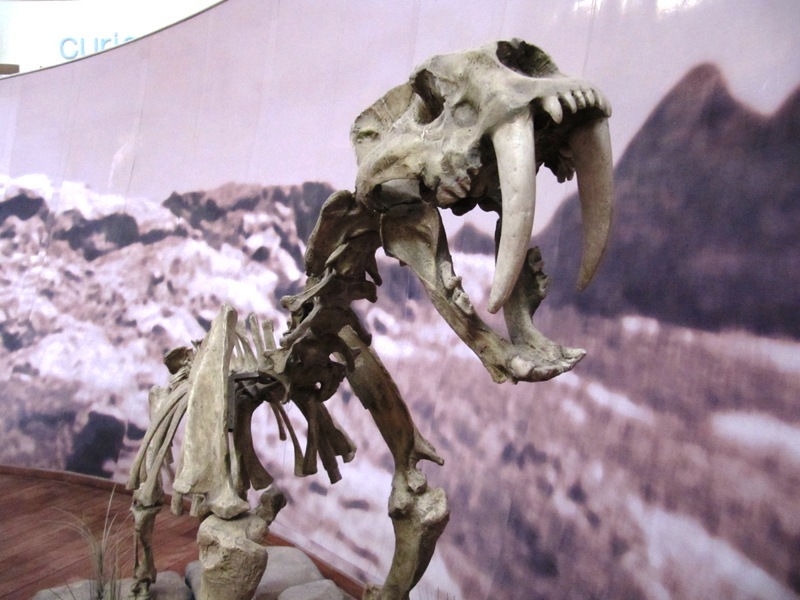 Ok, it was free museum Wednesday and backpackers can be cheap : ) But who can resist free saber tooth tiger viewings? Finally, the food. 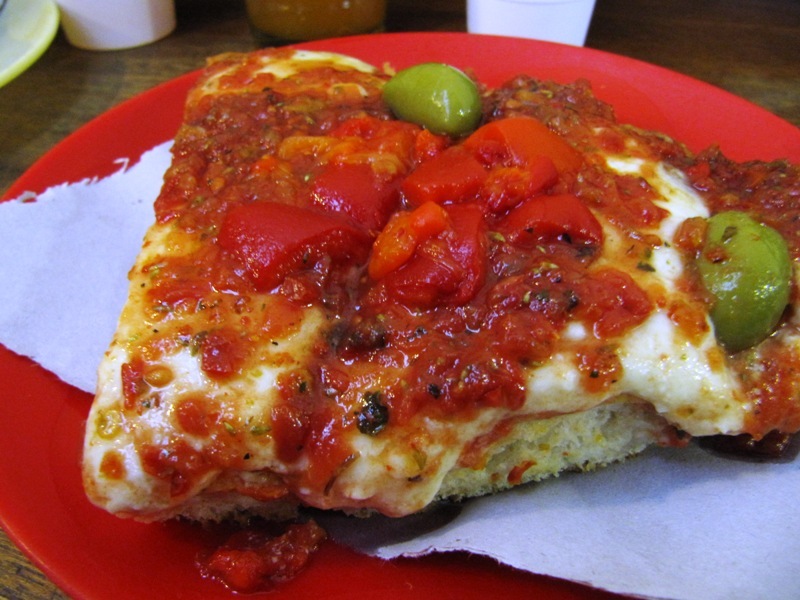 We enjoyed the crispy crust at a pizzeria in the market. But we were finally able to enjoy more regional specialties unique to northwest Argentina. 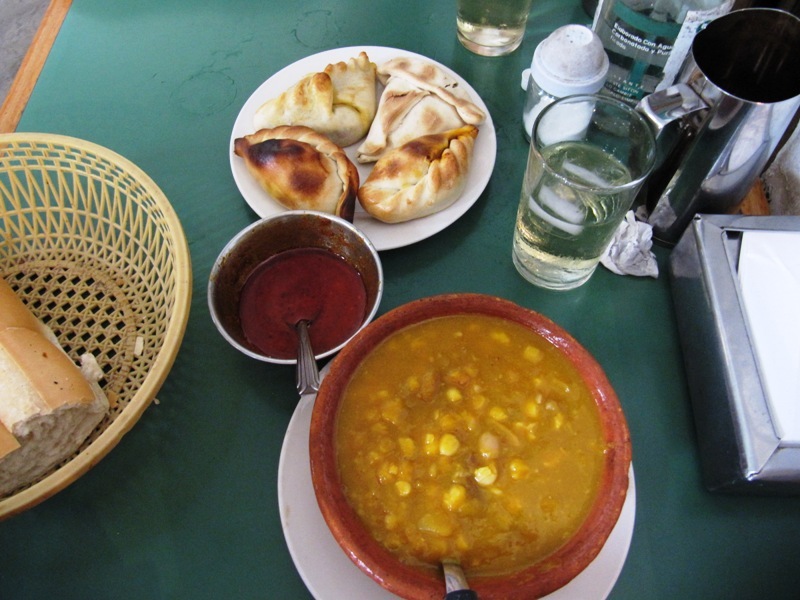 For example, locro, a meaty corn based stew. It’s definitely comforting, especially when accompanied by a plate of fresh baked empanadas. We tried two great places, Vieja Esquina and La Candela. Córdoba was a great experience, especially since we met up with a friend of a friend. Andres showed us around to see how the locals live. We had a great time, but the small towns beckoned us northward, closer and closer to Bolivia.